« It’s Squirrel Awareness Month! ‘The Green Ribbon’: Why the eff is this in a children’s book? Jenny and her stupid ribbon = the root of all my issues. AAAAAAAAACK! I still remember the first time I read that story: I screamed at the end and my mom cackled. (Yes, CACKLED. Thanks, Mom. That didn’t make it worse or anything). It gave me nightmares for months. MONTHS. 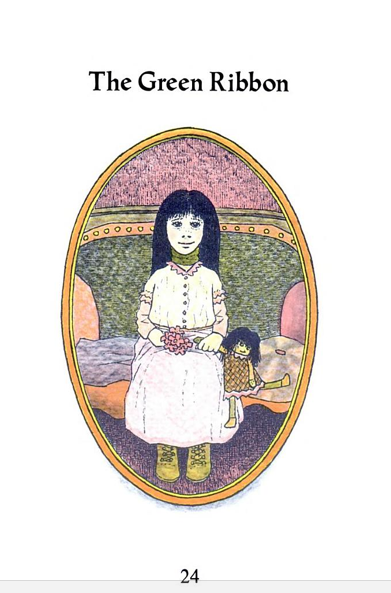 Sometimes, I wanted to be brave and would try to read the entire story without getting scared or screaming or closing my eyes when it got to the end, but that would just perpetuate the cycle of Jenny-induced nightmares. More than 20 years later, I still have to resist the urge to close my eyes as the story nears its fateful end and Jenny’s goddamn head falls off. Also, was it really feasible for Jenny’s head to be attached to her body by a mere ribbon her ENTIRE LIFE? 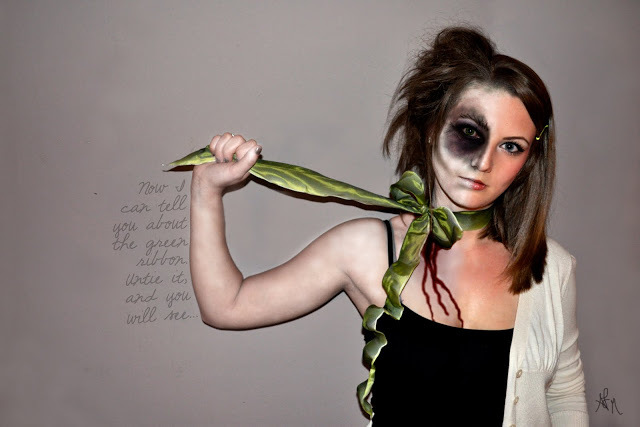 Was she ever worried that someone might sneak up behind her at a party and untie it as a joke? And her goddamn head would fall off in front of everybody? These are the questions that need answering. Cool I would want to be her for Halloween. So I was googling this story to try to remember the name and stumbled across your post. It freaking traumatized me too as a kid! I too, was at my Scholastic Book Fair in first grade. It was Library Time and my library teacher had the story on a cassette tape and played it for Story Time. I can remember being horrified and gasping while all the other kids just looked at me and giggled. I’m 27 and recently had a dream that I was Jenny and my husband untied my ribbon and then “Jenny’s head fell off.” You aren’t alone in your traumatizarion!